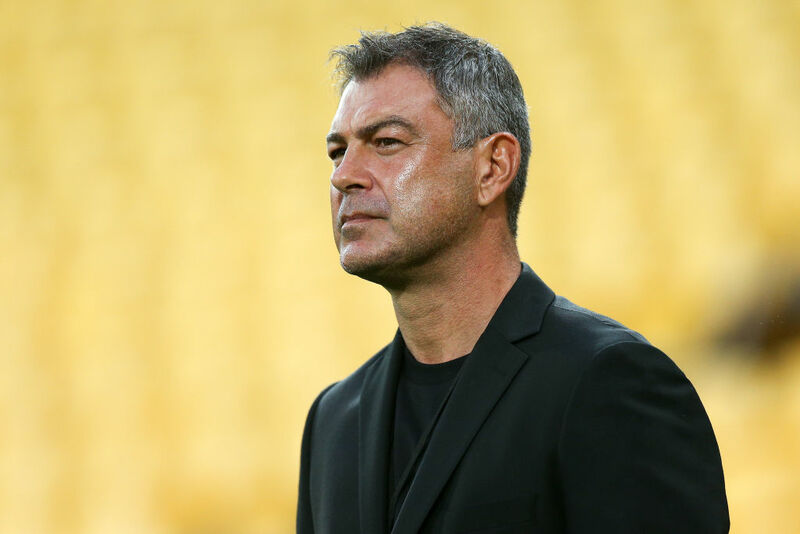 Coach Mark Rudan has delivered an ultimatum to the Phoenix - bring his family to Wellington or he's leaving the A-League club. Rudan shed light on what has been a messy period for the Phoenix, who are without a win since January and are in danger of dropping out of the top six. Off the field, conjecture has reached fever pitch over whether the Australian will serve the second season of his contract, the speculation not helped by silence from club management. Rudan hadn't spoken since bagging his bosses in the wake of their last start 1-0 loss to Sydney FC and he bypassed his usual pre-match media session on Thursday. However, the 43-year-old conducted a radio interview in which he made it clear he will only coach the Phoenix next season if his Sydney-based wife and two sons cross the Tasman to live with him. He wants the club to help make it happen and has been in negotiations for several weeks. Rudan said he had found it harder than he'd imagined living apart from his family, a fact driven home by spending last week with them during a bye round. "If I coach here, great, but my family will have to be with me for that to happen," he told Radio Sport. "If I coach in Australia, my family will be with me at the end of this season, whether it is Sydney, Melbourne, Perth, Darwin, Townsville, Brisbane. "They (Phoenix) are looking at ways and means to try and make that happen." Rudan has a second proviso to remain in Wellington, although it is hazy. Despite transforming the standards and results at the traditional strugglers, he wants more "ambition improvements" from club bosses, without going into detail. "I'm ambitious, I'm driven. My coaching staff are the same. My players, I can see it in them. They want the opportunity to challenge every year," he said. "Am I stepping out of line by being demanding and trying to improve the environment? I don't think I am." Captain Andrew Durante didn't want to add to the Rudan conjecture, saying his team are focused on Saturday's critical match away to last-placed Central Coast. A defeat would leave Wellington just two points clear of seventh-placed Newcastle. However, victory by a two-goal margin would lift them past Adelaide United and Melbourne City into fourth with six matches to play. They will be without suspended midfielder Alex Rufer while injury concerns surround three defenders - Steven Taylor, Tom Doyle and Justin Gulley.